US Soccer along with the Canadian Soccer Association and Federation of Mexican Football have agreed to fund more than 50 players as part of an as yet unnamed professional soccer league that will begin play next Spring with eight teams. 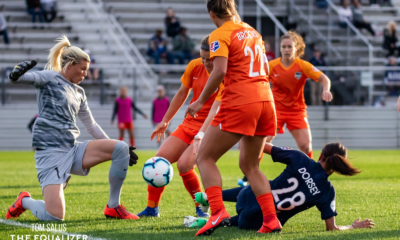 As expected, former WPS teams Western New York Flash, Boston Breakers, Chicago Red Stars, and Sky Blue FC will be joined by clubs in Washington D.C., Kansas City, Seattle, and Portland. This will be the third women’s pro league to launch in the last dozen years. The first two went by the wayside after three seasons. 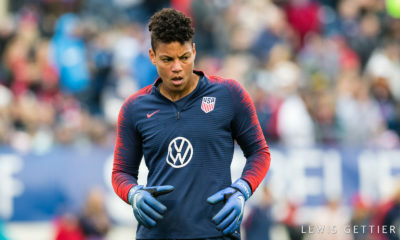 The latest league will differ from its forbearers in that the top players from the United States, Canada, and Mexico will have their salaries paid by their respective federations, sparing their club teams significant expenses. The baseline of that model will be the funding from the federations, which will essentially be in lieu of residency camp. It will allow the core US National Team players to be paid more than what a club could afford on their own, and it allows them to train and play in a league environment. 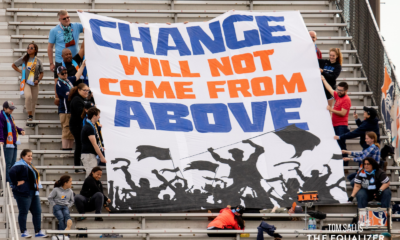 US Soccer will fund up to 24 players, the CSA up to 16, and the FMF a minimum of 12. Galati said the US figure could come in lower if certain players elect to play elsewhere. Despite the enthusiastic involvement of both the Canadian and Mexican federations there will not be a founding team in either country. Gulati said there were 11 groups under consideration for inclusion in the league next season but declined to address a question about the three markets that were not invited in. Los Angeles and Philadelphia had been mentioned as candidates. Terry Foley, the brains behind the Philadelphia Independence in WPS, tweeted We had it all, and were just plain left out, presumably a reference to not being included among the eight teams. Another cost savings will be that US Soccer will fund and/or perform the duties of the league front office. Additionally, Breakers partner Michael Stoler assured that MLS Stadiums like Toyota Park—where the Red Stars played in 2009 and 2010—will not be used. Stoler also said the Breakers will not return to Harvard Stadium where they played in WPS. Gulati and Stoller said planning is moving at breakneck speed and announcements about venues, scheduling, and player distribution will be coming in the next few weeks. National Team players are expected to be allocated in a joint process between the players, clubs, and league. A press release from the Seattle club indicated they will play 22 matches, three each against every opponent and a bonus game against the Portland club. The Seattle club is not affiliated with the Sounders but their release included a welcome statement from Sounders general manager Adrian Hanauer. The Portland club will be operated by an investment group led by Timbers owner Merritt Paulson. Gulati broadly suggested the season will begin in March-April and run through September-October.